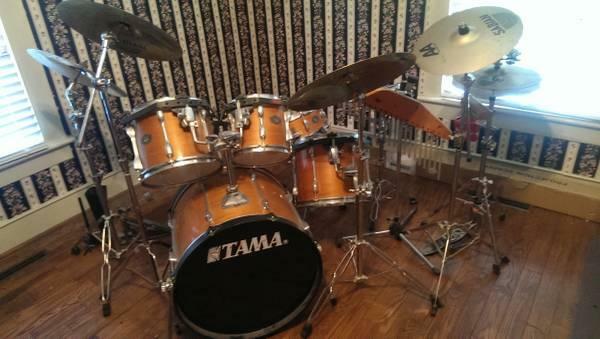 Tama Rockstar 9 piece drum set with Sabian Cymbols - with HQ Sound off drum set silencers comes with seat and 3 sets of drum sticks - ready to play! 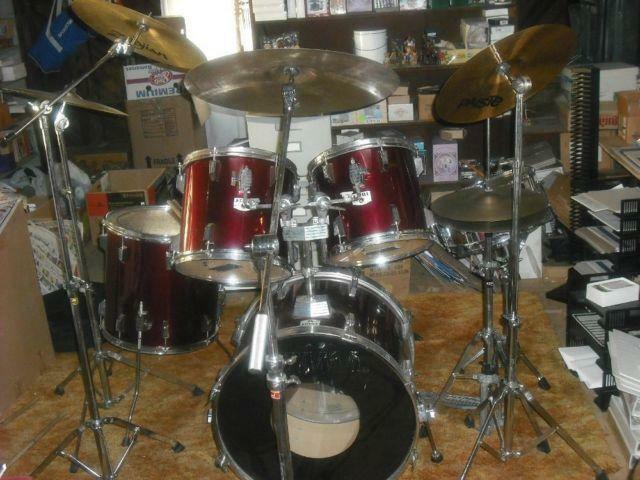 $550 Contact me if you want more information. 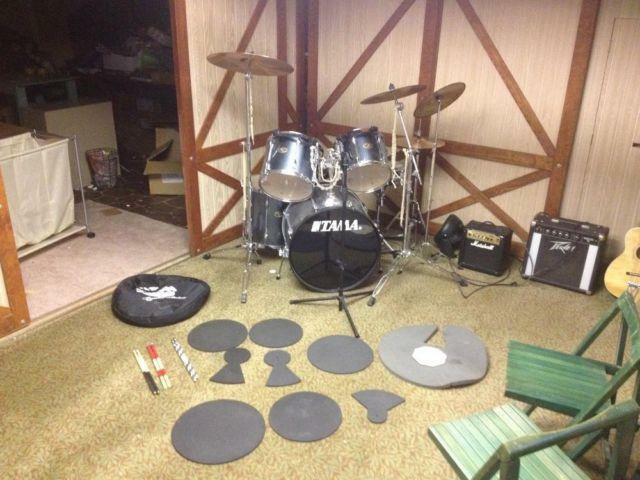 Tama rock star 6 drums in set. 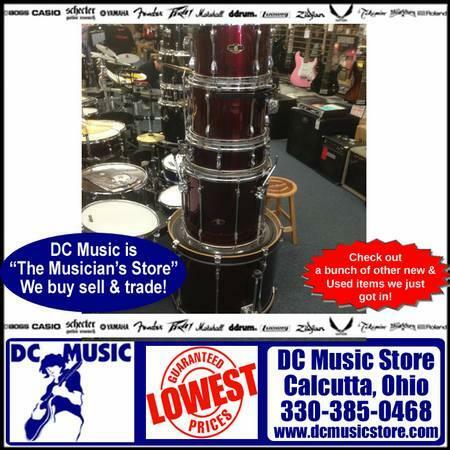 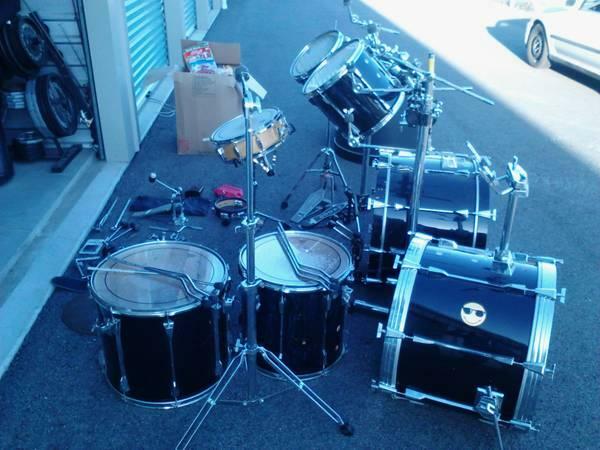 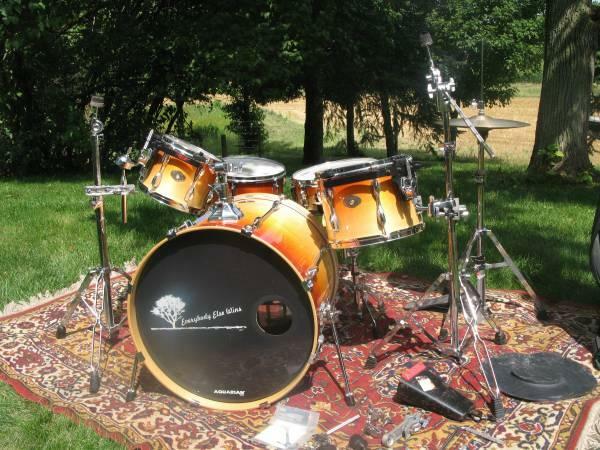 Sabian AA crash and rides, chimes, throne, and many extras.